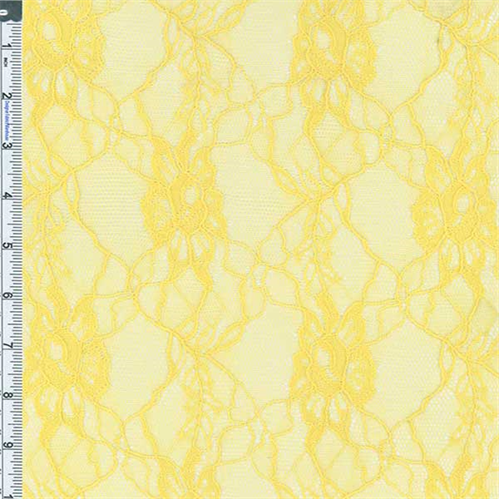 Nylon Blooming Floral Lace Knit Fabric By the Yard, Yellow. Soft with a dry hand-feel, very light-weight and see-through. Moderate natural stretch across the width from the lace construction, no vertical stretch. Machine wash cold in lingerie bag, air dry, do not iron.